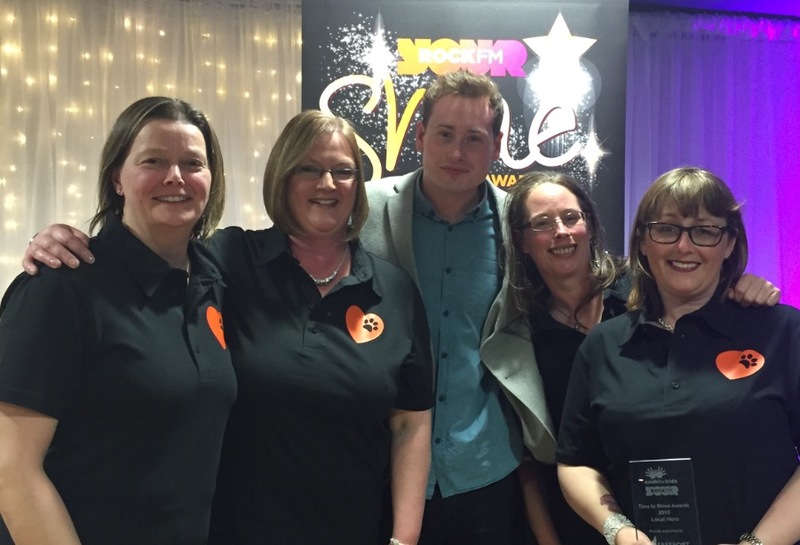 Andrea Newton, from Finding Furever Homes, won Rock FM’s Time To Shine award for her work with the charity, helping to rescue and rehome dogs throughout the UK. The awards aim to find people responsible for remarkable work being done within Lancashire, and celebrate all that is great about the county. Finding Furever Homes was started after Andrea set up a Twitter account to help tweet to support dogs in rescues looking for homes. Through the Twitter account she got talking to other dog lovers in England and Wales, and along with three other trustees they started the charity. Since its creation, Finding Furever Homes has helped rehome over 360 dogs and contributed over £100,000 towards the cost of keeping dogs in rescue until they are re-homed, covering accommodation, vet and food bills. Many of the dogs they sponsor would otherwise have been put to sleep through no fault of their own. Finding Furever Homes never puts a dog to sleep unless for medical reasons on a vet’s advice. For more information about Finding Furever Homes please visit www.findingfureverhomes.org.uk.